Baking cookies is pretty easy, but not so easy that it's impossible to mess them up. If that were the case, there would be no such thing as cookies that were too hard, too crumbly, too dark, or too flat. If any of these sound familiar, you might be making one (or more) of these common cookie mistakes or bad baking habits. Measuring flour the wrong way is probably the biggest cookie-baking mistake out there. If you're measuring your flour by scooping your measuring cup into the bag of flour, you could be using as much as 30 percent extra flour in your dough. That's going to make your cookies dry and tough. The right way: Get yourself a digital scale that can be set to grams, and from now on, for every cup of flour a recipe calls for, weigh out 130 grams. Most cookie recipes specify all-purpose flour, which is a medium-protein blend of hard and soft wheat flours. If you substitute bread flour, which is made from a different strain of wheat and is higher in protein, your cookies will be too hard. If you use cake or pastry flour, which are softer, your cookies will be fragile and crumbly. And if you use self-rising flour (which is a type of flour with the baking powder already mixed in), any number of things could go wrong. The right way: Use whatever flour the recipe specifies, most likely all-purpose flour. Overworking can happen with all types of cookie dough, but especially rolled cookies, where you roll out the dough and then cut out the cookies with cutters. Flour contains gluten, a protein that gets tougher and harder the more you knead, roll and mix it. And rolling out cookie dough is fun, especially for kids. But too much rolling is a no-no. (And yes, rerolling the scraps will definitely make the rerolled cookies harder than the first ones, but you don't really have a choice). The right way: Roll or mix your dough as little, and as gently, as you can. Creaming your butter and sugar does more than simply combine the two ingredients. You're also incorporating air into the butter, which contributes lightness to the dough, and makes it easier for the baking powder to do its job. If all you do is stir, your dough won't be fluffy enough. Remember, the butter should be cool: If it's soft enough for you to stir it by hand, it's too soft. The right way: Cream your butter using a stand mixer with the paddle attachment. This relates to the issue of creaming, because cold butter is more difficult to cream. Thus, if your butter is too cold, your cookies will be denser, and they will likely not spread enough in the pan when you bake them. In general, you want your butter to be cool, but not cold. The right way: Let your butter sit out for 15 minutes (but not longer — see below) before creaming. If your butter is too soft, you'll have the same problem as when you tried to cream your butter by hand, namely, insufficient aeration. If it's too soft, instead of holding in the air, the butter will just sort of flop over onto itself, making your dough heavy instead of fluffy. Baking powder is a chemical leavening agent that gives baked goods their rise, and while it does have a reasonably long shelf life, it isn't unlimited. After six months in the cupboard, baking powder will lose quite a bit of its potency. While not as critical in cookies as it is in cakes and quickbreads (and perhaps not even as critical a factor as creaming), it will still make a difference. 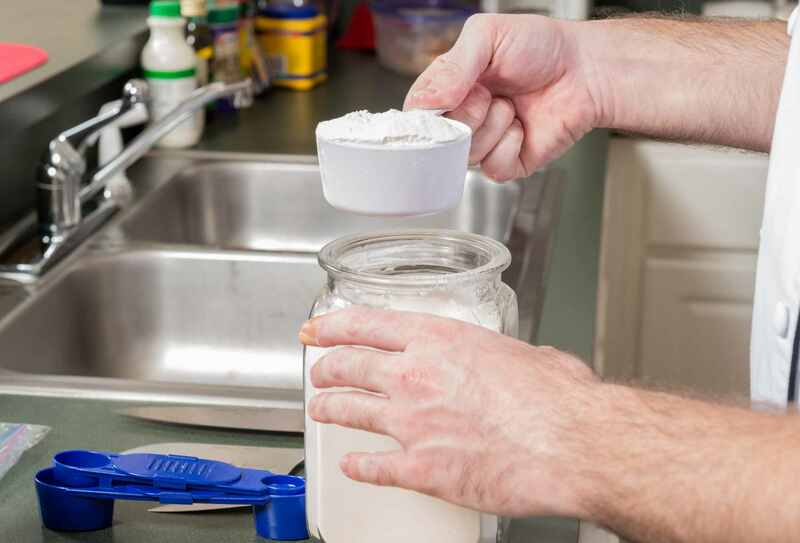 The right way: Make sure your baking powder is no older than six months, and replace it if it is. Yes, this is really a thing. Dark colors absorb more heat than light ones, and the difference is significant enough to affect the cooking times for cookies. Unfortunately, most recipes don't specify a color of cookie sheet. But if your cookies are burning and you're using a dark cookie sheet, that's likely the culprit. The right way: Use light-colored cookie sheets (or reduce oven temperature by 25 degrees). Cookies are supposed to spread when you bake them, as the butter and sugar melt. But sometimes they can spread so much that they practically merge into one giant cookie. 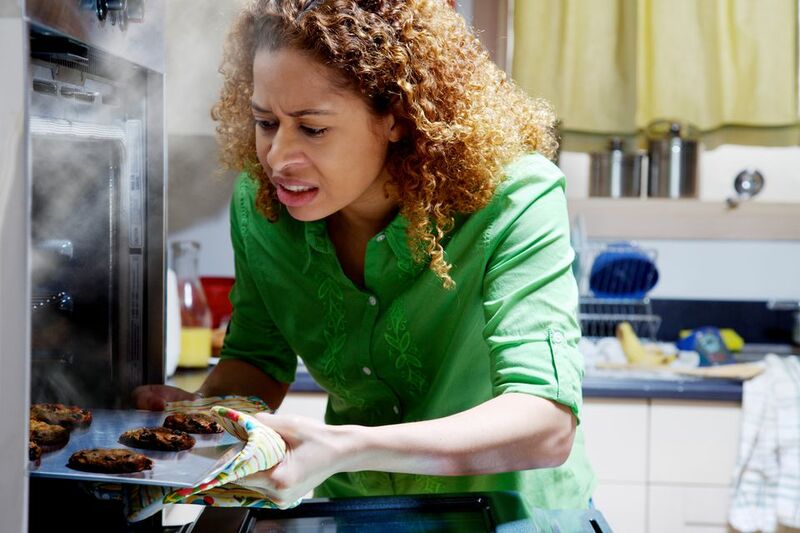 This can happen for a lot of reasons, but assuming you followed the recipe in every other way, the most likely cause is greasing the cookie sheet too much, or in some cases, at all. The right way: Skip greasing and line your pan with parchment paper instead. Your cookies won't stick, but they won't spread excessively, either. Of course you know you're supposed to do this. It's the first instruction in any recipe. And it's not like you're skipping it intentionally. Like many mistakes, it's mostly a matter of forgetting to do it. And this is especially important with cookies because they might only bake for 10 or 12 minutes, so your oven really needs to be at the right temperature when they go in. The right way: Get in the habit of doing everything the recipe says, including preheating the oven. You need to open the oven door to take the cookies out, obviously, but you don't want to be doing it every couple of minutes. Every time you do that, all the heat escapes and the oven temperature drops. This is not as bad for cookies as it is for cakes, but it's still bad. It can, for instance, prevent your cookies from spreading, or from browning. The right way: No peeking! Use the window in the oven door to check for doneness (and clean it if you can't see through it).